We catch up with some of the key speakers at the upcoming People Analytics Forum 2018 conference, and ask them about their thoughts, experiences, predictions and hopes for workforce data in contributing to business analytics, strategy and operations. 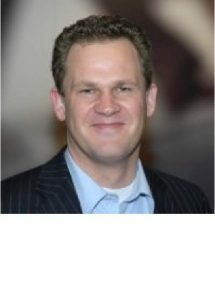 Tako Zoutman began his HR career in 2003, working for several years for PinkRoccade (current KPN). In 2008 he joined Atos Consulting as HR Director. In 2010, he was asked to build the HR SSC organisation in Benelux. In 2013 Tako became responsible for all global HR SSC activities inside Atos worldwide, and he was responsible for deploying the global E-HR solutions, MyHR. In 2015, he started to build the HR Analytics & Data Management team for Global HR. This team was setup to facilitate the data-driven HR strategy of Atos. In April 2018 Tako started his own consulting business, ZoTako. He enjoys driving change and transformation, especially in the area of HR, Data & Technology. For how long have you worked in the HR domain (if at all)? I think People Analytics is progressing very well. I see that many experts and passionate people are working on this great area of HR. But I also see a less positive development. I see a lot of HR departments and business managers struggling with this development. It could be because it's new or appealing to a kind of knowledge the current HR professional doesn't have, but since these professionals lead HR teams, it takes some courage to overcome that barrier. I am proud to see a lot of evolving, but I'm challenging my colleagues to overcome their natural response of "why will data be better than 25 years of experience and our current way of working?" Data is a challenge in itself. I encountered large amounts of data and had a lot of expectation management to do, to help my (senior) management to understand that having data doesn't mean you can use it instantly. The consequence of the maturing of HR analytics (according to Bersin) is to have much more data than we know what to do with. The combination of the mentioned elements and of building the capability has been a complex process to go through. But the largest challenge was - and is - getting our clients to understand the potential of People Analytics and supporting them to ask the real business questions. Which areas show the most promise for People Analytics in increasing its influence in the organisation? I see two potential areas. The first one is the potential of validating policies and or management decisions. Not only afterwords but upfront. Via the predictive analytics business decisions, this can become more successful. I believe that this is probably the most challenging change for management: learning to trust insights and advice from People Analytics. To build confidence in these insights, the process must be robust, so organising validations and control groups is absolutely necessary. The second opportunity is the redesign of HR processing using algorithm-based solutions. This will influence the whole HR function as well as the wider business, not only in the potential resource savings, but more importantly, in the changing role of HR professionals, and along with business managers, having more focused activities. For example: introducing AI-based Talent Management solutions. This will replace time-consuming (manual) data gathering and meetings etc. It will allow the limited number of HR staff to focus on the relevant part: making sure the organisation succeeded in its goals. Do you think the future of People Analytics lies within HR, or as part of a wider Analytics function? I believe People Analytics should always be a part of HR. Human Resources is the core function around People and it would be fatal to move this activity outside of this function. I do believe that People Analytics must be developed, working closely together with any functions in an organisation. We must destroy the barriers between the silos and convince our partners to work together. I have worked on building predicting models for revenue; it was a financial KPI, but influenced massively by HR KPIs like training. I think the expertise must be recognised as a core element of HR. What are your predictions for the next 12 months and beyond? Where are things heading? I think the speed of development will increase. I also believe that we, the experts in change, must realise that this development needs good management. It is and will be disruptive, and therein lies the opportunity and the risk. I believe that developments like permanent listening, continual data analysis in core data, and AI-oriented process support are the future. If you could give advice to yourself when you first started working in People Analytics, what would it be? Allow yourself to look around, speak with other experts in the market, join networking groups, work with the young generation and students, don't be afraid, and arrange proper sponsorship. You can't do it all, so start with the basics of data quality and trust, and don't forget to show progress (smart, good-looking reports, small analytics, etc).